Having a towel service makes your customers feel valued. The number of gym members you have directly determines your revenue- it pays to make them happy. Improved satisfaction means more word of mouth advertising among their family and friends, which then leads to (you guessed it) more member sign ups! So why do customers think a towel service is such a great benefit? They do not have to carry their own with them, making it easier to get ready for or pack for the gym. Customers who enjoy their morning workouts may need to shower for work immediately after. Having a towel available for them gives them one less thing to worry about while rushing around in the morning. Providing towels for the shower, pool, and for sweat means your customers do not have to travel with wet towels in their gym bag or car. If they shower after a morning workout or go for a morning swim, they could have to keep a wet towel with them or in their car all day long… yuck! It’s green! Companies and customers alike are becoming more environmentally conscience. So much so, that customers are even paying more for products and services provided by businesses who are green. Your Linen Service has the ability to wash very large loads with less water and energy usage than it would take for smaller household washers to launder the same amount. Many gyms offer paper towels or sanitizing wipes to clean equipment, which creates bags full of chemically treated, landfill filling waste. Paper towels dry out or rip easily, meaning your members may use 2-3 towels for just cleaning one machine! A rental towel can be used for your members’ entire workout. Towel rental service makes things easier for you and your employees. Employee satisfaction is just as important as customer satisfaction. Happier employees go the extra mile to ensure happy customers! 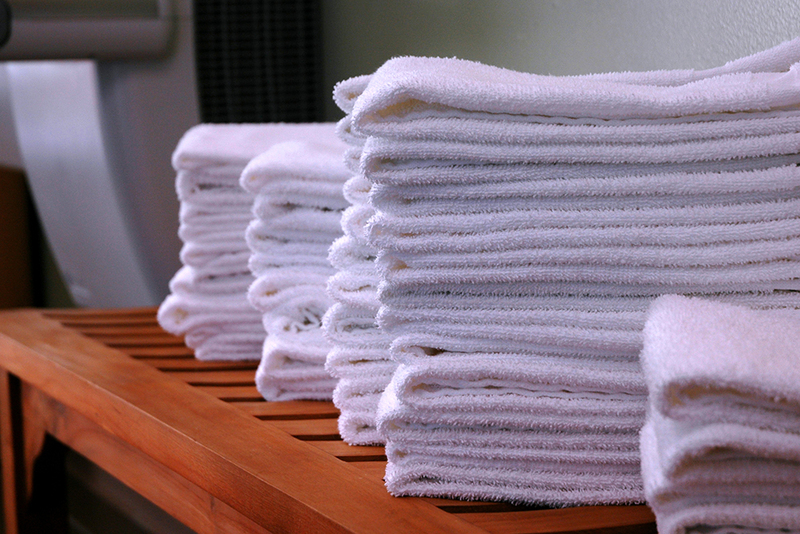 Using Your Linen Service means you have the ability to get more than just rental towels. You can knock out your entire gym shopping list. We offer hygienic supplies and restroom items. This means not having to worry about multiple deliveries from different companies, or not having to travel to different stores to purchase the products you need. You do not have to allocate time for laundering your own towels. You never have to worry about running out of supplies. Your Linen Service helps you establish your inventory par levels to ensure you do not run out of necessary items. You have the ability to lower or raise your inventory amounts on your regular orders. If you ever get into a bind and are low on any of the items you order from us- we offer a 24/7 emergency line for your convenience. We will happily make an emergency delivery to ensure you can continue to provide top quality service. Guests do not need to bring their own towels, meaning there is no chance of dirty towels being left behind to be stored in your lost and found. Getting rid of paper products means less trash cans needed and the appearance of a clean, welcoming environment with a lot less work. Creating less bags of trash means your employees do not need to walk around to collect and replace multiple trash bags several times a day, giving them time to focus on your guests. You do not have to worry about replacing torn, thinning, or stained towels by purchasing new ones. We do it for you! We track inventory, while increasing and decreasing inventory levels to meet seasonal needs. 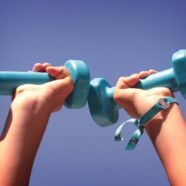 Your associates can now focus on more profit-driven tasks like personal training services or coaching a fitness class. You save money renting over laundering owned towels. You do not pay for water, electric or gas usage. You do not have to care for a washer and dryer which may sit idle much of the time. You do not pay for maintenance on your washer or dryer. You do not need to pay an employee extra hours or hire another employee to ensure towels get cleaned. You do not need to give up the opportunity cost for the valuable space you lose by housing a laundry room. Need we say more? Fill out a Request for Service by using the form on the right side of this page. One of our experienced Textile Rental Service Consultants will reach out to you shortly to assist in determining how a rental program will best suit your business.